Northland Community Services, Inc. is a private, for profit, agency located in central rural Wisconsin which provides outpatient mental health services. 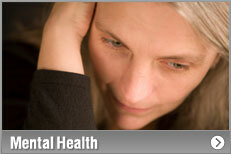 Northland Community Services, Inc. provides psychotherapy and psychiatry treatment services to eligible patients. We take a variety of of medical insurances. We see individuals, couples, children and families. We also provide AODA assessments in some cases. Call to see of we have something for you.